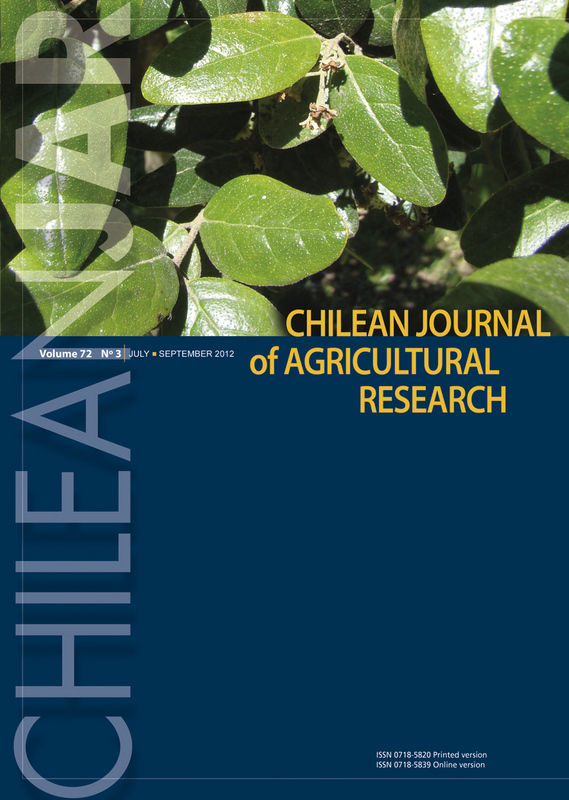 The response to P and water deficiencies of forage Lotus species has not been sufficiently studied in the Andisol and Vertisol soil orders in Chile’s marginal areas. A pot experiment under cover was carried out between October 2007 and March 2008 to study the effects of P and soil water availability (SWA) on DM production, P absorption, and P use efficiency in Lotus spp. The experiment included three Lotus ( L. corniculatus L., L. tenuis Waldst. & Kit. ex Willd., and L. uliginosus Schkuhr) species, two soils (Andisol and Vertisol), two contrasting P levels (low and high), and two SWA levels (10% and 100%). A completely randomized design with a 3 × 2 × 2 × 2 factorial arrangement with four replicates was used. Accumulated shoot and root DM, P absorption and efficiency, and arbuscular mycorrhizal (AM) colonization were measured. Phosphorus absorption was significantly higher in Andisol with 100% SWA and high P in the three species, which was reflected in P efficiency where the species exhibited higher P absorption efficiency (PAE) and P utilization efficiency (PUE) with low P, and mean of the three species with low P and high SWA. When the P level was low, L. uliginosus showed the highest PAE and L. corniculatus exhibited the highest PUE. Phosphorus efficiency was also influenced by AM colonization since on the average mycorrhization in the three species was significantly higher in the low P treatments. Differences existed among species for DM production, response to P, P absorption, PAE, and PUE.